Addicted to Cronuts™? So are we. Clearly this unholy marriage of French and American pastry had to be the invention of someone with great taste, so we thought we would reach out to Dominique Ansel and find out what else he loves in the great city of New York. So here we present to you Dominique Ansel’s guide to New York. But first, if you’ve never had the pleasure of visiting Dominique Ansel Bakery let us tell you a bit about the man behind the world’s most popular pastry. You might be thinking that this Cronut™ news is all just great marketing and dumb luck. Hardly. Ansel started his culinary training at 16 (the same age you were when you were hanging out behind dumpsters learning to smoke). Prior to serving as the executive pastry chef at Daniel for six years—where he helped the NYC restaurant earn 3 Michelin Stars—he traveled the world opening boutiques for pastry mega brand Fauchon. In 2011 Ansel opened a boutique bakery in SoHo under his own name, which became an instant favorite with local foodies. Today you would swear there’s a newly released iPhone on the other side of Dominique Ansel’s line. Every morning at 6am the crowd gathers (even though the bakery doesn’t open until 8am). What’s all this hysteria about? Well, the Cronut™ of course! Quantities are limited each day, and you can only buy two Cronuts™ per person. There’s even an online and telephone pre-order system that’s taking orders 2 weeks in advance. Is it worth all the trouble? Honestly, the Cronut™ is damn good. It’s like if a croissant and doughnut had a wild night in Vegas, this would be their love child. Crispy, moist, and filled with pastry cream, it’s the king of pastry. Totally worth the effort. Despite his popularity, Dominique Ansel remains extremely hands on. As a matter of fact, every time we visit the bakery (which unfortunately for our jeans is too many times to count), Ansel is there too, in the kitchen deeply focused on perfecting something tasty. He's a bit like a mad scientist covered in flour and sugar. 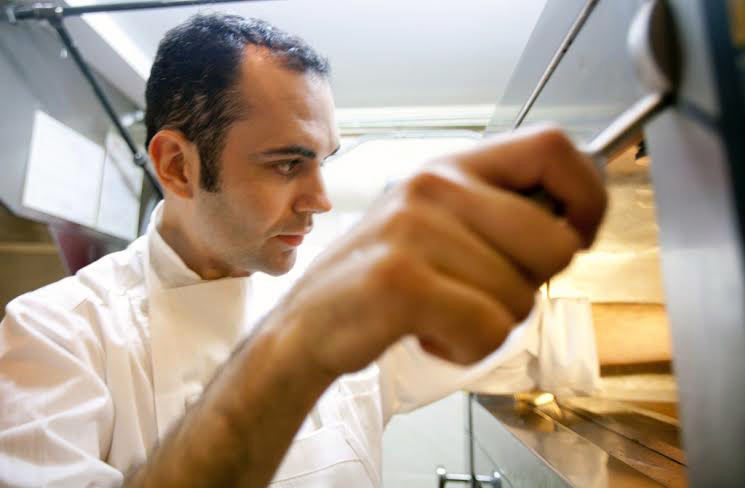 He has a knack for fusing the world’s greatest pastry recipes to create exciting new combinations. His attention to detail, uncompromising nature, and sophisticated palette are just a few reasons Dominique Ansel has quickly become one of New York’s best bakeries. With that in mind, here’s Dominique Ansel’s guide to New York. Why I love it: It’s pretty much my life…and my heart. I wanted to create a place where everyone felt pampered yet not intimidated and focus on a constant drive for creativity. What to get: Always do something old and something new. 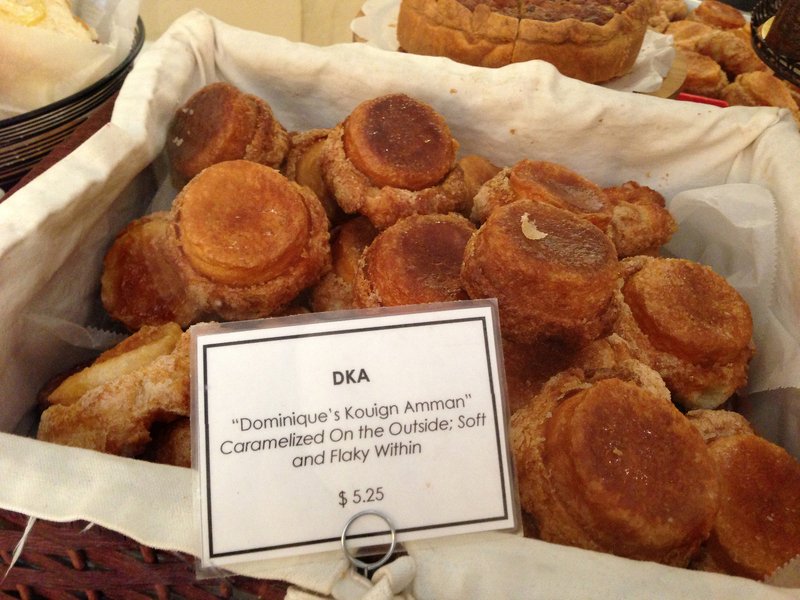 My favorite all-time item is the DKA (“Dominique’s Kouign Amann”) which is a type of caramelized croissant that is sugary on the outside and moist and tender within. And then I would ask what the newest item is on the menu because we change things every 6-8 weeks, and desserts is about exploration. Then I would get a 10pc madeleine – warm pillow cake bites baked fresh to order. And inevitably wake up early one day and get the Cronut™. Dominique Ansel's tip: We have a non-Cronut™ line in the mornings for those who want a variety of other things and their breakfast. There is secret way to get a Cronut™. We offer as may options as we can (preorders by phone and online), but getting in line in the morning is the best way. We save the majority of the Cronuts™ for our customers who come to the bakery. Why I love it: People who know me know about how obsessed I am with Japanese food, and the omakase at Neta is one of my favorites. It has such a great combination of cooked items and raw, creative and traditional, and a sort of flawless counter service that’s both casual and fine-dining. What to get: Splurge and get the omakase tasting menu. And when the Chef asks you what you like, say: everything. It’s a time to try things that you thought perhaps weren’t your favorite because these are the guys who might change your mind. Dominique Ansel's tip: As is always tradition, choose a counter seat. And start off your meal with a cocktail, which they do surprisingly well here. 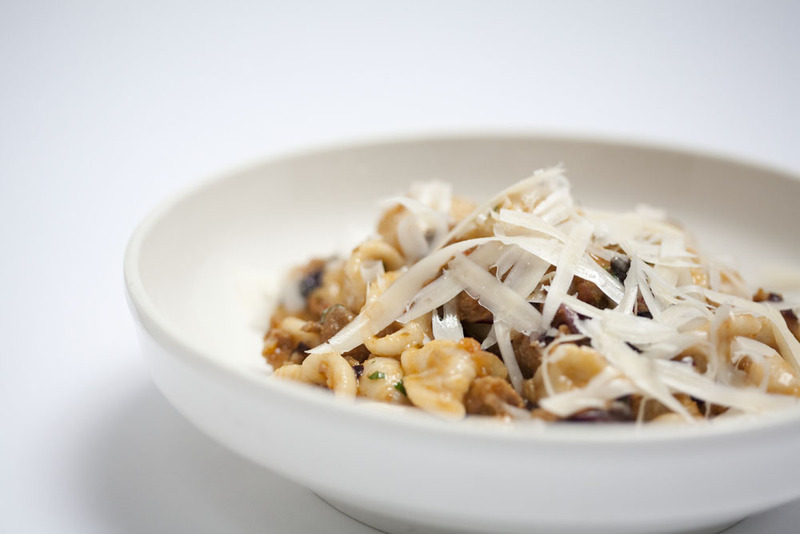 Why I love it: A quaint restaurant in the West Village that serves up new American food with an Italian twist. It’s exactly the type of clean, fresh, yet absolutely satisfying food that I like. There’s a consistency here and solid execution of the dishes every time. What you should do: The fresh homemade ricotta, some of the most pillow-y gnocchi I’ve ever had, and they somehow get their roasted chicken super juicy and tender every time. A side order of roasted potatoes never hurt either. Dominique Ansel's tip: Reservations are hard to come by, the bar always has a few seats if you don’t mind waiting, and a glass of sparkling Lambrusco waiting for you. Why I love it: A Chelsea art gallery that embraces large scale installations from an elite group of artists. Dominique Ansel's tip: Call ahead to inquire about lines and plan a day around it. It’s not a drop-by kind of place. Why I love it: This Queen’s outpost of the MoMa features some stunning works in an industrial building from a great selection of contemporary artist. I’ve seen James Turrell’s work with light and color in “Meeting” here at close to twilight. I’ve seen a Ansel Adam’s photography. I’ve seen a sculpture made out of road kill. What you should do: Never miss the chance to have a meal here at M. Well’s Dinette. Put your name down in case there’s a line and explore the museum, finishing your trip with some delicious beef tongue or oysters and very little wait. Dominique Ansel's tip: Ask the staff what their favorite exhibit, and get a recommendation. Why I love it: It’s a spa of sorts, but has a selection of “pools” ranging from cold water to salted water to a turbulent hot jacuzzi. It’s like going to a water park and a spa at the same time. What you should do: Get a message treatment and unlimited time to spend jumping around between the pools. You’ll be asked when you want your message. 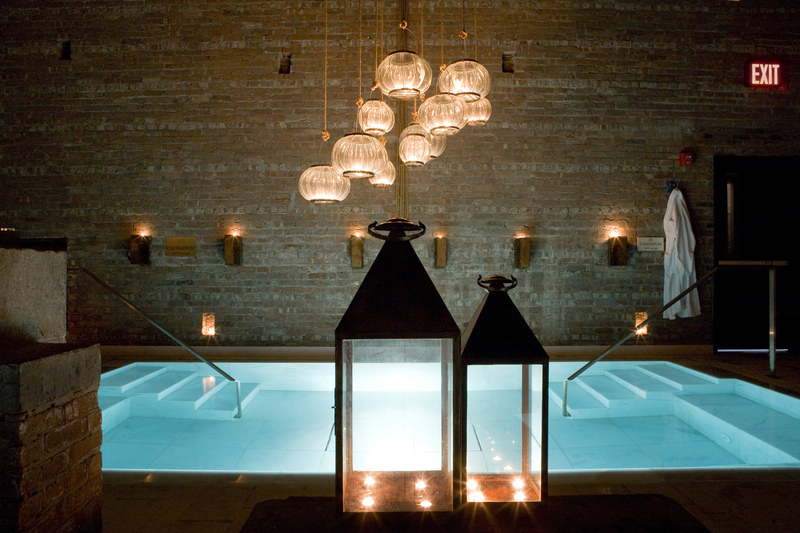 Ask for it in the beginning (before getting into the pools), so you are not soaking wet and getting massaged. Dominique Ansel's tip: Book a weekday time when it’s not busy so you feel like it’s your own private space. 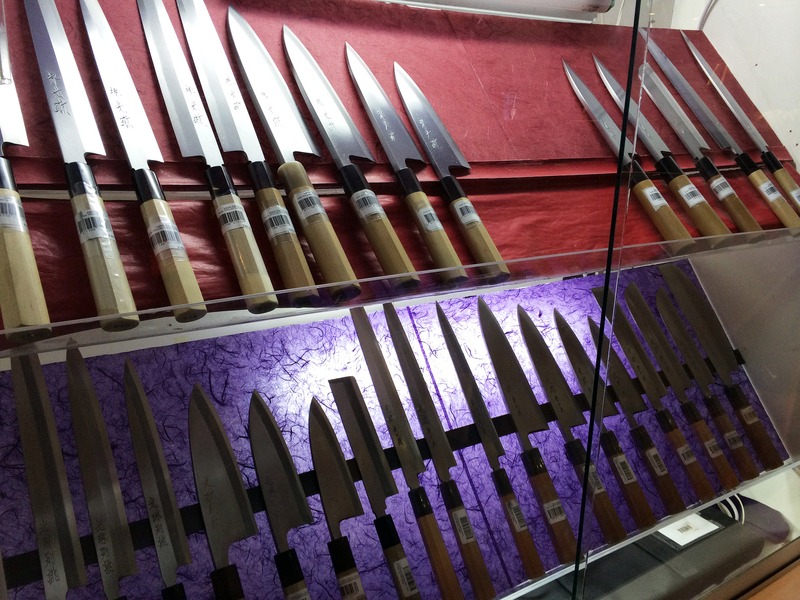 Why I love it: Where every chef goes to get their kitchen knives. The quality of their tools is great and better than any regular kitchen ware store. What to get: Get three knives: a standard one for cutting meat, a clever (for shopping vegetables and transporting), and a paring knife. Dominique Ansel's tip: Once you get your knife, make sure you’re actually taking care of it with regular sharpening. You can also get this done professionally at Chelsea Market. Why I love it: A Japanese grocer and convenience store that some real hidden jewels. From fun Japanese packaged goods to a selection of ingredients, and even a little back space for dishware. What to get: Buy the box of fresh sea urchin and some fresh shiso leaves (both available here). Go home and put that over rice. Dominique Ansel's tip: Pick up a copy of Chopsticks – a Japanese magazine – that’s usually just outside the elevator and look through the pics (since I can’t read Japanese) of some of the newest openings in the city. It’s amazing how current they are. Why I love it: A fashion retailer from Japan that offers basics for a great price. 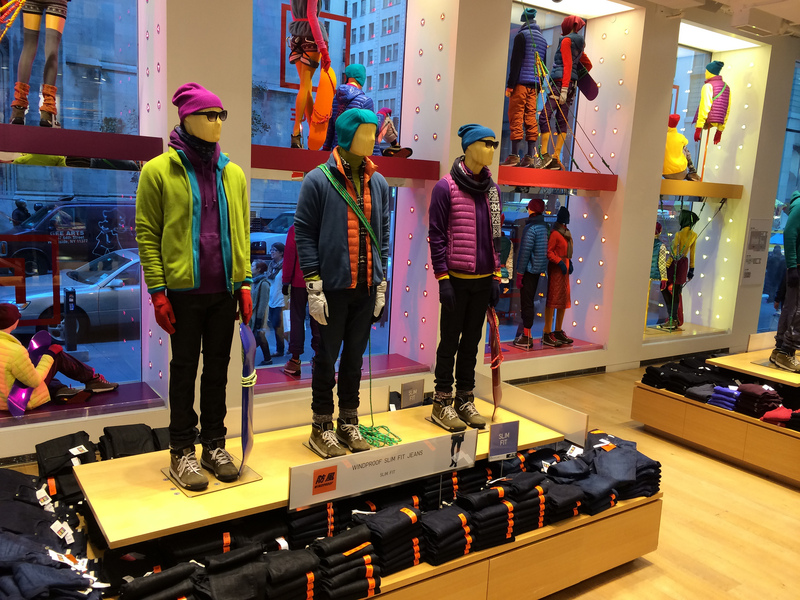 I feel like everyone should have a few Uniqlo thermal t-shirts lying around for the winter. What to get: Some of the really affordable cashmere sweaters. 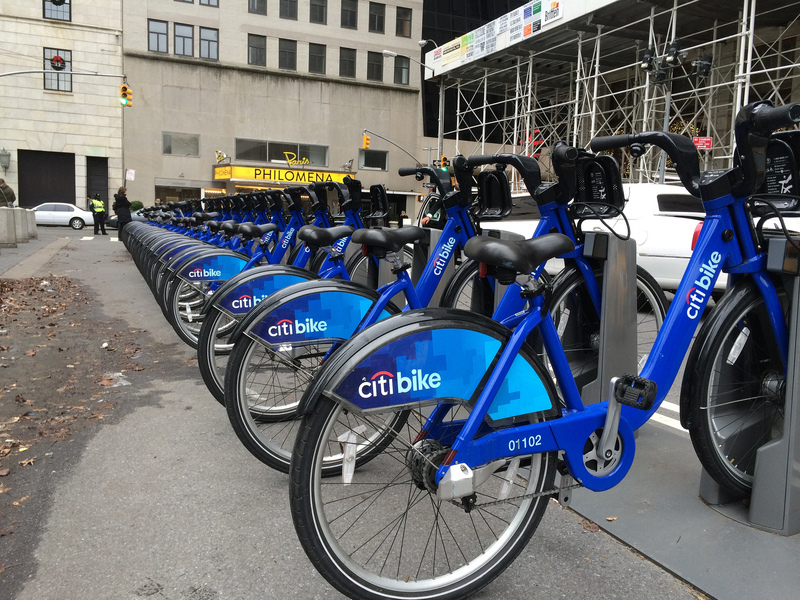 Why I love it: I’m a fan of the Citibikes around the city, and reminds me a bit of Paris, where you can also rent bikes on your own and drop them off in ay destination. What you should do: On a good day, rent a Citibike and go down the West Side Highway. Dominique Ansel's tip: Please bring a helmet. It freaks me out that nobody wears one. Any last words for someone visiting New York? Dominique Ansel's tip: Don’t try to see or do too many things at once. It’s a vacation, isn’t it? Relax and let the city surprise you.